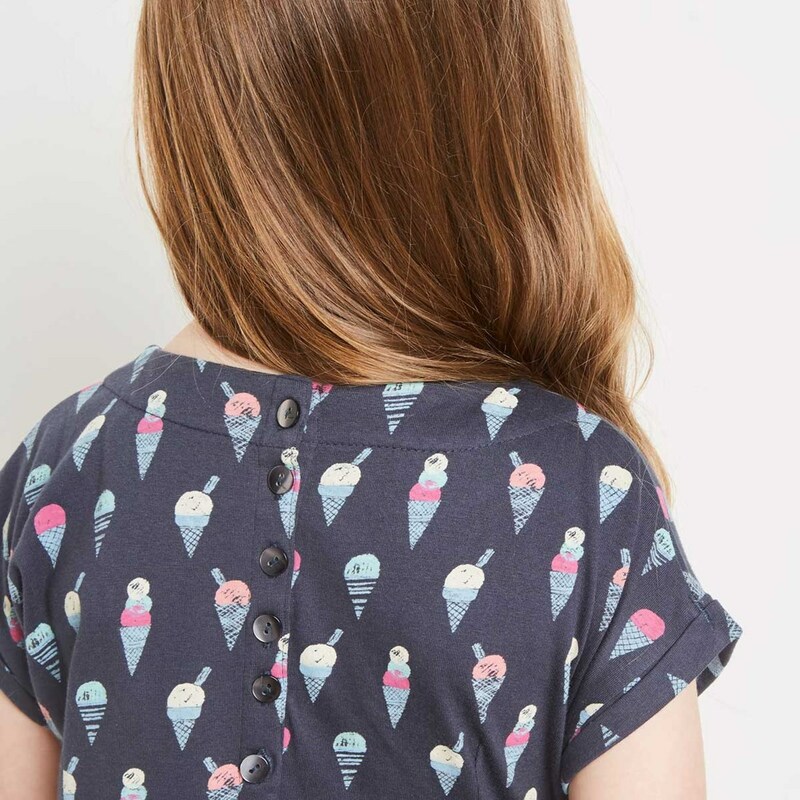 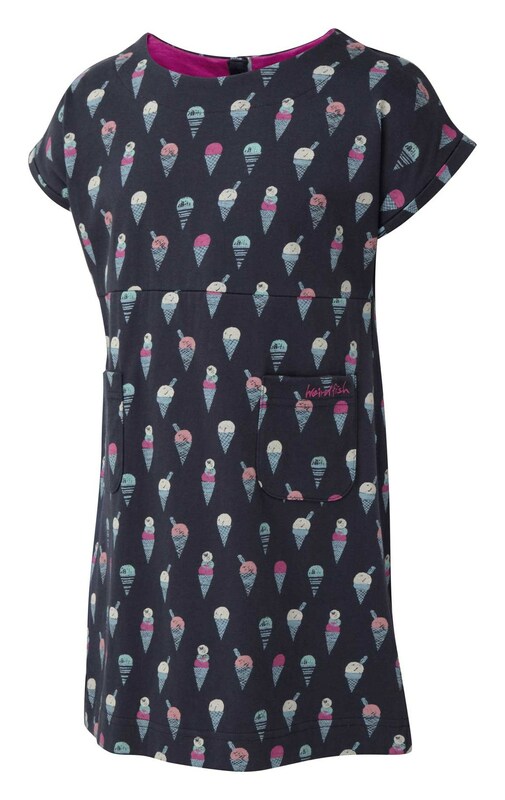 Choose the quirky fun & stylish girl's Tally Ho jersey dress featuring our unique ice-cream cone print. 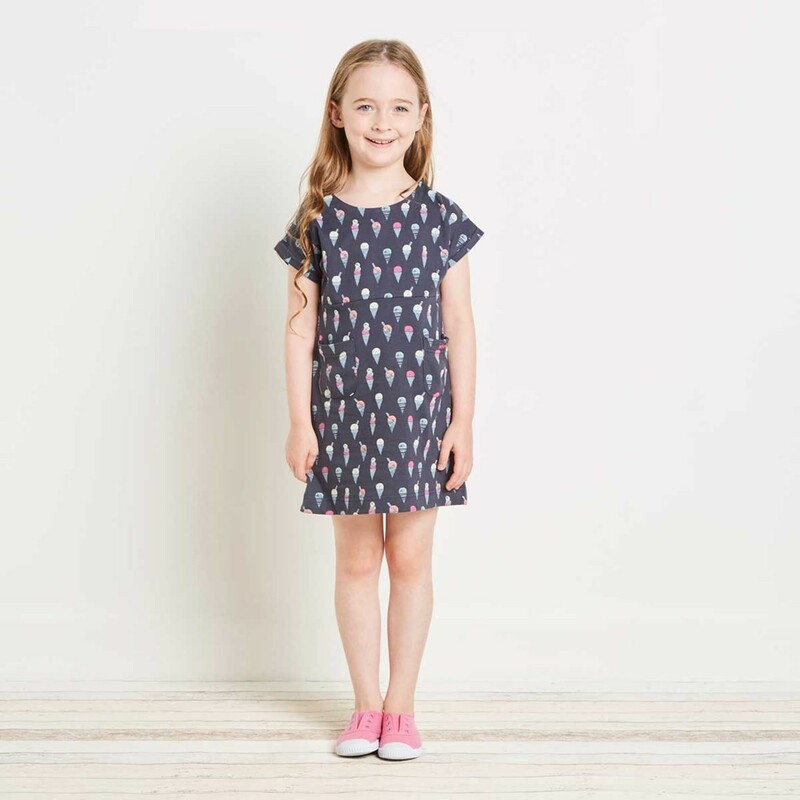 This scaled down version of last year’s extremely popular women’s Tallahassee dress is now available for the younger Weird Fish fan in your life and is a great choice for smarter occasions this season such as long afternoon family barbecues. 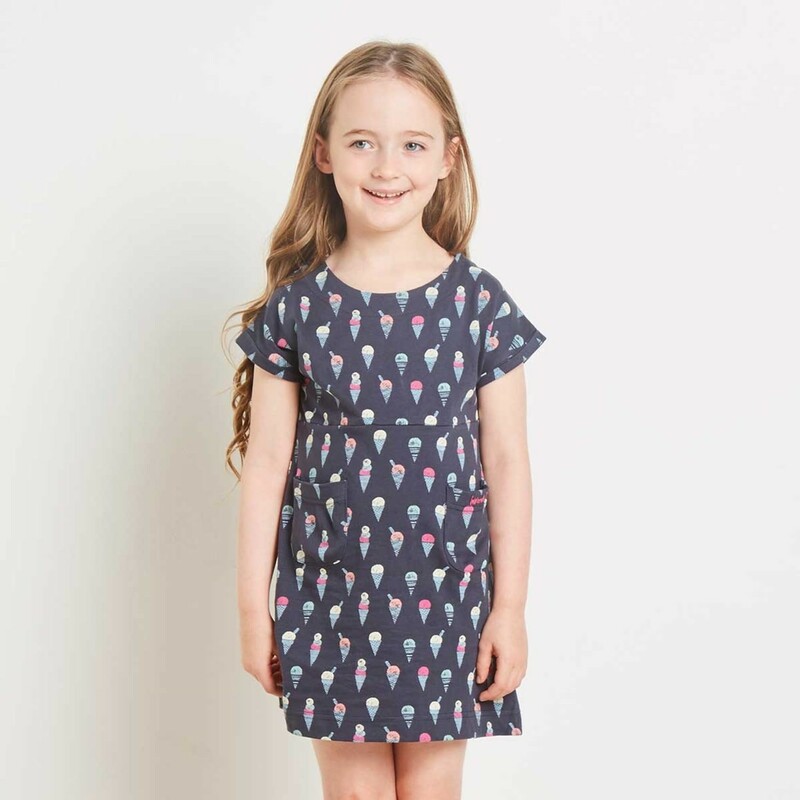 Cut just above the knee the girl’s Tally Ho jersey dress also features a pretty six pearl button fastening on the centre back. 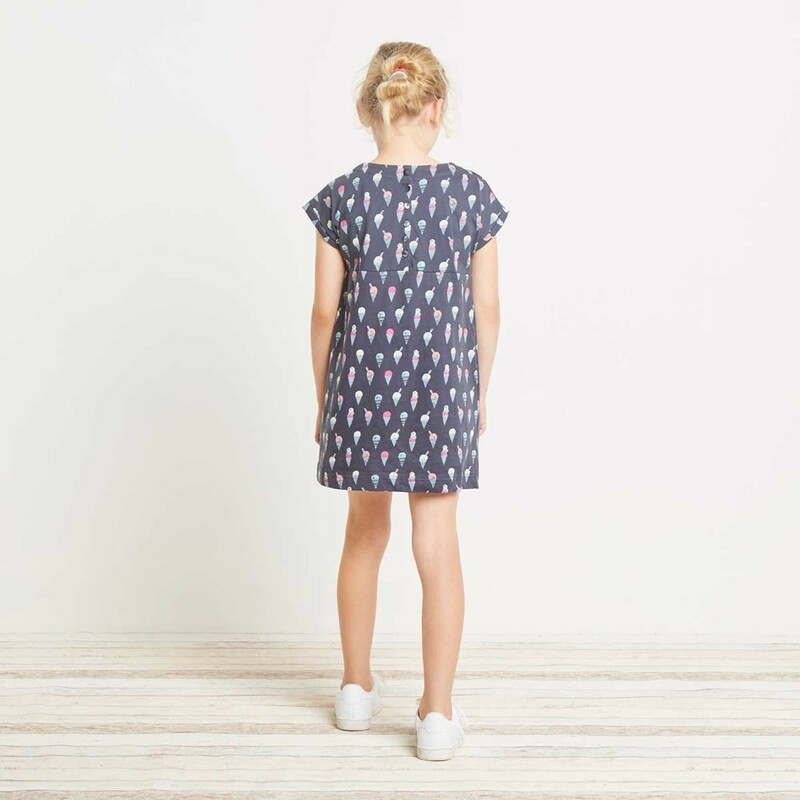 As the sun goes down and the temperatures begin to drop why not match with our Horizon full-zip hoodie to keep the chill air at bay. 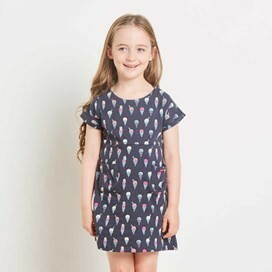 Really pretty little dress and excellent quality, unfortunately did not suit my grand-daughter's body shape.